Jane Bird is an award-winning freelance business and technology journalist working for national newspapers, business and consumer publications. She writes a monthly column on IT for FT.com and contributes regularly to the Financial Times and The Economist on topics such as digital business, human resources, green energy, sustainability, retail, science, health, medicine and education. Jane’s ability to apply her journalistic skills to a wide range of topics is reflected in her awards. In 2012, she won the Recruitment and Engagement Journalist of the Year award in the Towers Watson Excellence in HR Journalism Awards. More recently, she won the Outstanding Online Education Journalism category in the CIPR Education Journalism Awards 2013. After graduating from Hertford College, Oxford University, Jane entered the IT industry. She moved into journalism in the early 1980s, joining Computing and becoming editor of Personal Computer World, then Europe’s leading PC publication. 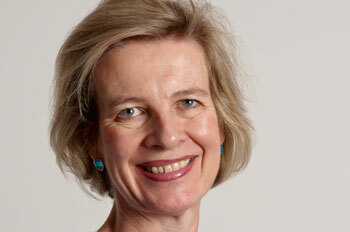 She went on to spend seven years on The Sunday Times, where she was the paper’s first Technology Editor. Since the mid-1990s Jane has been a freelance, contributor to publications such as The Times, The Daily Telegraph, The Sunday Telegraph, Management Today, Global Telecoms Business, Revolution and Human Resources. In the early 2000s, she edited Executive Briefing, a monthly newsletter about venture capital and private equity. Jane’s TV experience includes co-presenting a family-orientated computer series Chip-In for Granada, and monthly appearances on the BBC’s Breakfast as the show’s consumer computing expert. She presented weekly news reports on Radio 4’s The Chip Shop, hosted by Barry Norman, and on the BBC World Service’s Computer World. She has also presented a number of business videos such as The Communications Programme, published by BT. Jane is also a corporate writer, having produced a management handbook on networking for 3Com, The Reuters Guide to Good Information Strategy, and the technology chapter of Wirefree Working published by Management Today. Clients for her services include Orange, AT&T, BT, PWC, Intel, Cable & Wireless, SAS, PA Consulting and Motorola. During the 1990s, she edited a dealer newsletter for Sun Microsystems and a customer magazine for Madge Networks. Jane runs media training courses for a wide range of people including business and technology professionals, management consultants, bankers, lawyers and head teachers. Previous clients include: Adobe; Advanced Computer Software; Akamai; Allianz; Amdocs; AT&T; AVCA; BT; Beat That Quote; BeyondTrust; British Osteopathic Association; CityFibre; Dell; DLA Piper; Energis; Expedia; Experian; FICO; FT Information; Forrester Research; Fujitsu-Siemens; Granada Learning; Hewlett-Packard(Germany, France & UK); Hitachi Data Systems(UK, Denmark, Israel); Hybris; Hyperion; IBM; Integralis; Intel(Germany, Poland, Scandinavia, Israel, Russia, UK); Logica CMG; London Metropolitan University; Macromedia; Microsoft; Motorola; Nortel; Novell; PA Consulting; Packet Vision; Polycom; Redknee (London and Berlin); SAS; SilverRail; Sitel; Skype; Sony; Sony Ericsson; Sun; Tata Communications and Vodafone. She also runs courses for professional training companies such as Electric Airwaves.